We are amping up the Christmas spirit in our house this week. We have all of the Christmas decorations down from the attic and we're ready for some decorating! 2 Wooden Hearts and 1 small wooden circle to create bow (see image below - we found ours at A.C. Moore for .29 cents each. Paint half of your clothespins dark green and the other half a lighter shade of green. Allow time to dry. Paint your wooden hearts and circle red. Allow time to dry. 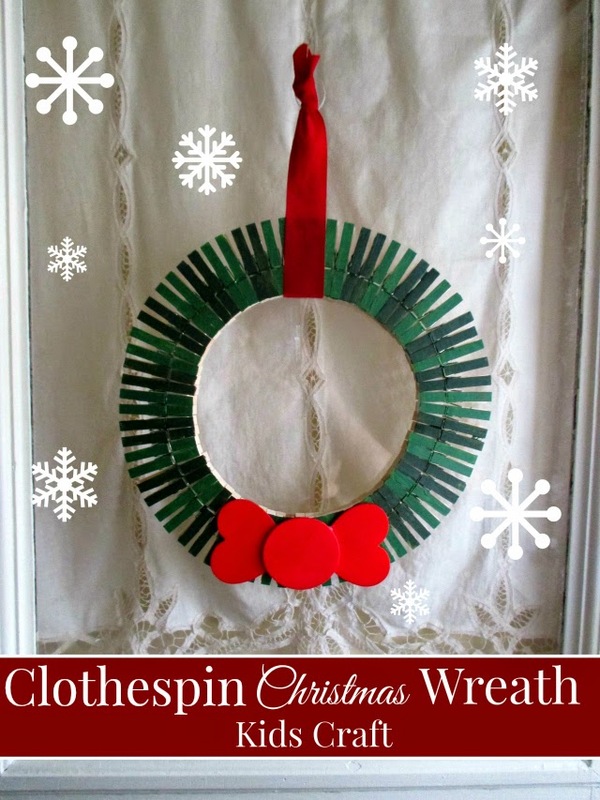 Clip your dry clothespins onto your wreath form in sets of two (2 dark, 2 light etc.) all the way around the form until all of the clothespins are affixed (see image). You can add a dab of glue to the inside of each clothespin for added security (optional). 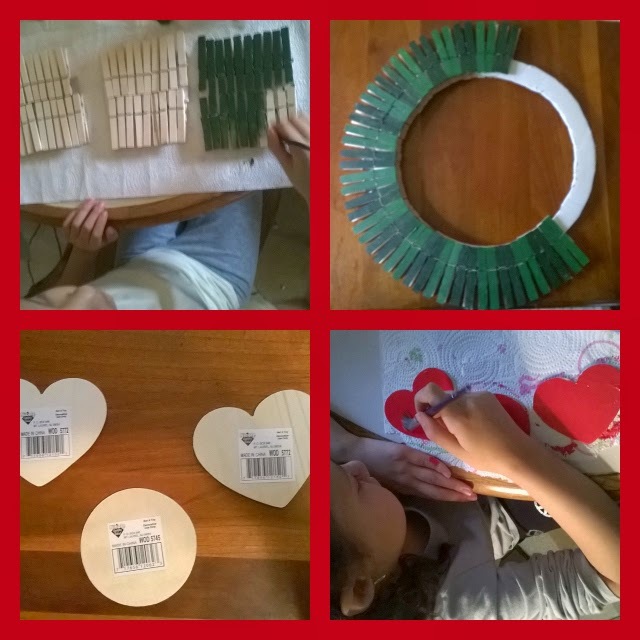 Glue hearts and circle as pictured to create the bow for your wreath. Hang your finished wreath & enjoy! Happy Holidays & Happy Crafting Everyone!